At AQUA-TECH, we introduce "RO103TDS" to the market. The respond has been incredibly success. 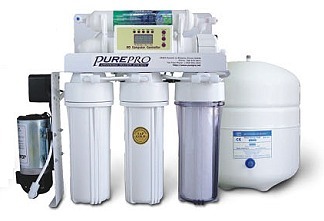 Now "RO103TDS " are the world most famous RO system with high quality components but low prices. "RO103TDS" carry "NTT / Awards" from National Water Test Association & using NSF certificate components to guarantee you 100% satisfaction. RO103TDS are designed for durability and purity. We are one of the few manufacturers who still insist on using only FDA/NSF certified components to guarantee you the quality of water and the taste of water. Our filter-housings are using the new technologies (double o'ring) to prevent any water leaking you got before. Our included faucet is the most beautiful faucet in the RO market.